'Rumble' Celebrates Rock 'N' Roll's Native American Roots The documentary discusses Link Wray, Jimi Hendrix and other Native American artists who helped shape rock's sound. 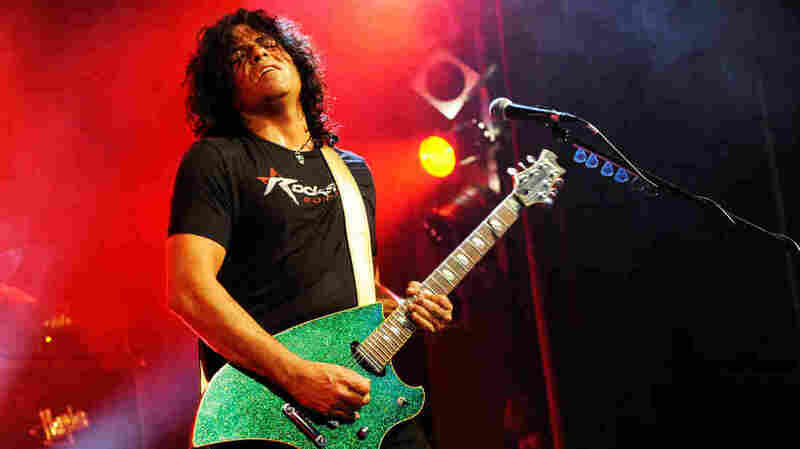 Guitarist and executive producer Stevie Salas says it's "a film about heroes." Rock musician and Native American music pioneer Stevie Salas performing in Germany in 2010. Salas served as executive producer on Rumble, which he was also featured in. In 1958, the guitar riff known as "Rumble" shocked audiences. Its use of distortion and bass made it sound dangerous and transgressive to audiences at the time — and its influence is still heard today. Behind that song was a Native American musician named Link Wray, who went on to inspire legions of rock 'n' roll greats. He's featured in a new documentary called Rumble: The Indians Who Rocked The World, which aims to finally give Native American musicians their due. Another rock legend featured in the film is Stevie Salas, who has played with Justin Timberlake, Rod Stewart, George Clinton, Mick Jagger and others. He also helped curate an exhibition about Native Americans in rock 'n' roll at the Smithsonian's National Museum of the American Indian, and served as Rumble's executive producer. For Salas, the project of spotlighting Native American musicians is personal: He's Apache, and when he was starting out in rock, he saw little visibility for other Native American musicians. "[Music] really started as hobby when I got out of high school in San Diego," he says. "I moved to L.A., and I was discovered by George Clinton and started to work with him and Bootsy Collins and Was (Not Was). Then I got this huge gig with Rod Stewart — that's when, all of a sudden, I was playing arenas and Madison Square Garden and all these places. I just started looking around and wondering — to me, I looked like everybody else. But then I realized I didn't, and I just started to wonder: Were there any other people out there doing what I was doing that were like me? And at first, it really seemed like there weren't, but as I started to talk to people and gig, I realized there were a bunch." In a conversation with NPR's Lulu Garcia-Navarro, Salas explains what it was like to research rock 'n' roll's Native American heritage. Hear their conversation at the audio link, and read on for highlights. 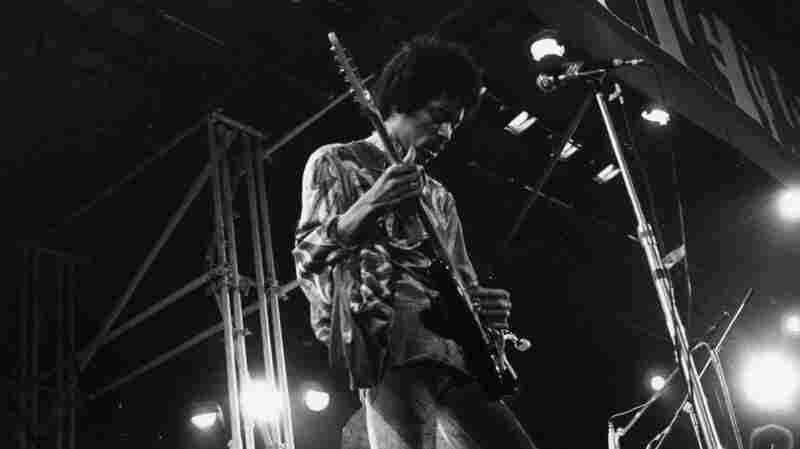 Jimi Hendrix is one of the musicians whose Native American heritage is discussed in the documentary Rumble: The Indians Who Rocked the World. When I started at the Smithsonian with Tim [Johnson], to do the exhibit on this, Janie Hendrix — Jimi's sister — she goes, "Jimi has to be in this. Because my grandmother was Cherokee. It was super important to him." But then when we went to make the film later on with Rezolution Pictures, PBS — who was one of our distributors with Independent Lens — was like, "Come on. You guys expect me to believe this? Jimi Hendrix?" And I secretly arranged for Janie Hendrix to call my cellphone while we were having this discussion. She called me, and I go [to PBS], "Well, you know what? Why don't you ask Jimi's sister, personally?" And she just let him have it. And then PBS did the deal with us — and that's how we got the film going, in a lot of ways. I always assumed the Delta blues was a black art form, because that's what I was always taught. But as a kid, I was always taught that Columbus discovered America too. What we realized was happening was: When you watch Rumble, and you see the development of North America, music was just a by-product of what was going on with the repressed people. So you had the slaves and you had the Native Americans — all were outcasts. I found really hard with my producer-partners, and the directors who I worked with, because there's a lot of anger there. In the corner of the room, you have this big blob of nothingness called racism that you just want to reach for and use. And it's so easy to use, and it's so satisfying to use, because you're so angry. But I said, "No. We're making a film about heroes. We're making a film about people who did incredible things, against incredible odds, and it should inspire people." I didn't want to say, "We got screwed again! You stole our land, you stole our music." I didn't want that. Neither did a lot of my Native American friends who are working towards really feeling great and doing greater things in life. We didn't want to go backwards. We wanted to go forwards with this, and I'm really proud that we were able to do that. You can hear songs from the artists featured in Rumble in the Spotify playlist below, created by Studio 360. Web editor Marissa Lorusso contributed to this story.